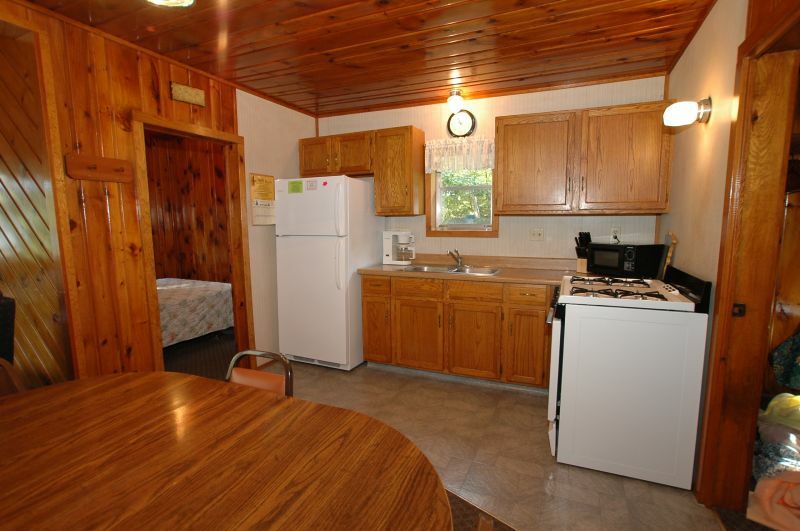 Also located at the far end of the resort this cabin offers a quiet, secluded surrounding. 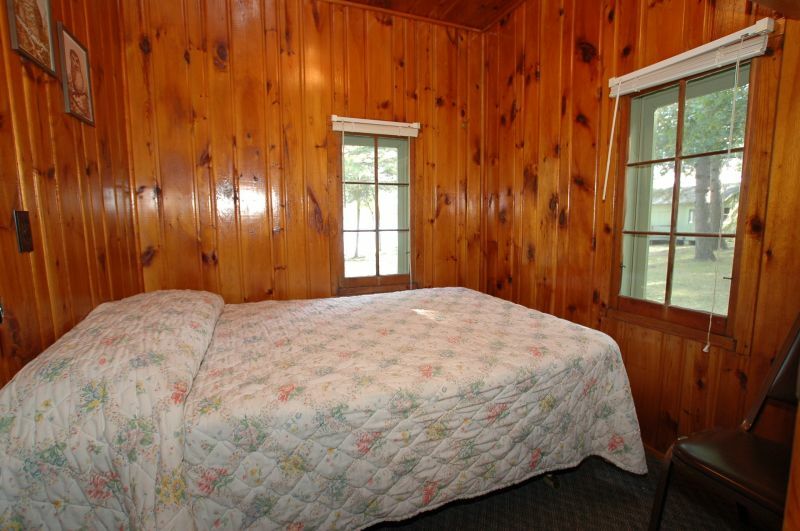 A queen bed in the primary bedroom, 2 singles in another and a double in the third bedroom. 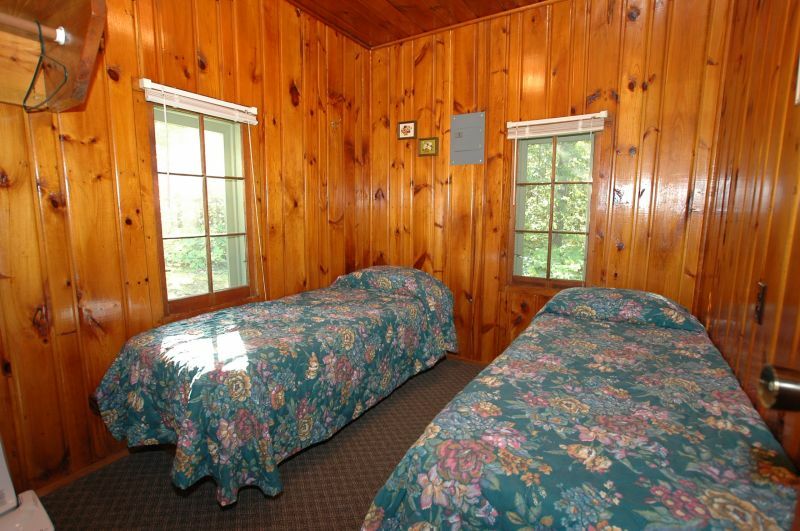 Rates are based on 6 persons. 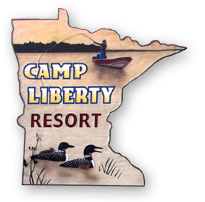 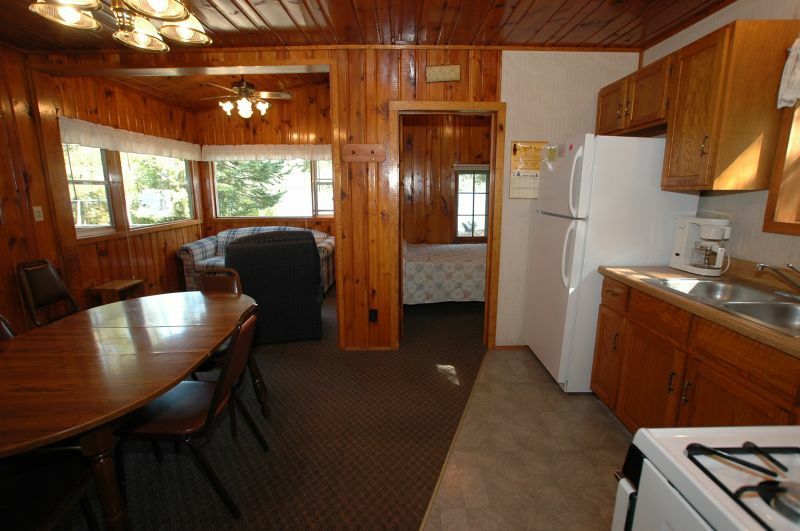 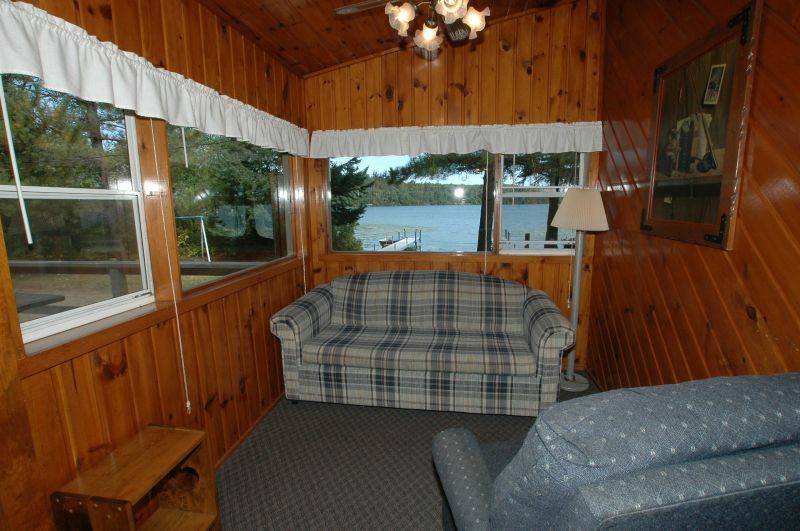 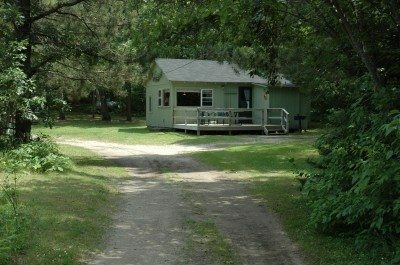 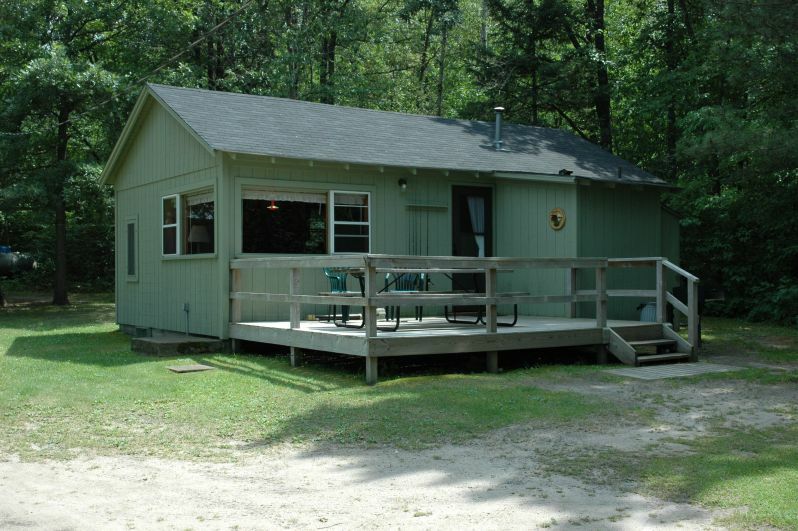 (500 square feet) Rented with the "Birch" cabin you will feel like you have your own "private cabins" at the lake!